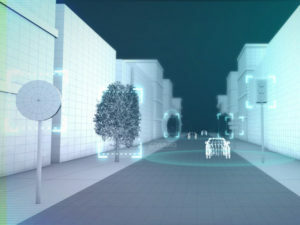 Four projects that will test connected and autonomous vehicle (CAV) technology have scooped £51m in government funding. Funding winners include two projects that will adapt real-world locations for testing of automated vehicles in live traffic. TRL will lead a project to set up live test environments in Greenwich and Stratford’s Olympic Park in London through the creation of its Smart Mobility Lab. The Warwick Manufacturing Group will set up real-world test environments in Coventry and Birmingham. In addition, Horiba Mira in Nuneaton will build a new site alongside its existing vehicle test tracks where automated vehicles can be tested at the limits of their speed and handling to ensure they are safe. And Millbrook Proving Ground in Bedfordshire and Remote Applications in Challenging Environments (RACE) based in the Culham Science Centre in Oxfordshire will set up a range of different test areas mimicking increasingly realistic city driving environments, where automated vehicles can be tested before being taken onto public roads.